The latest model in the Certina DS Podium Collection is the Certina DS Podium GMT Chronometer. 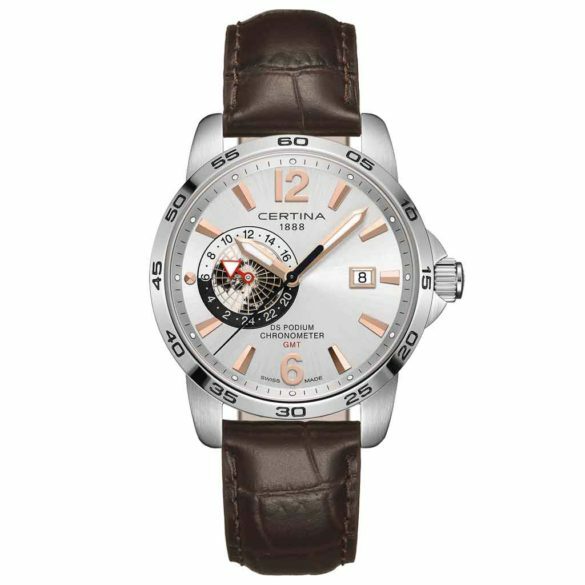 A nice addition to the brand that is well known for their sports watches. 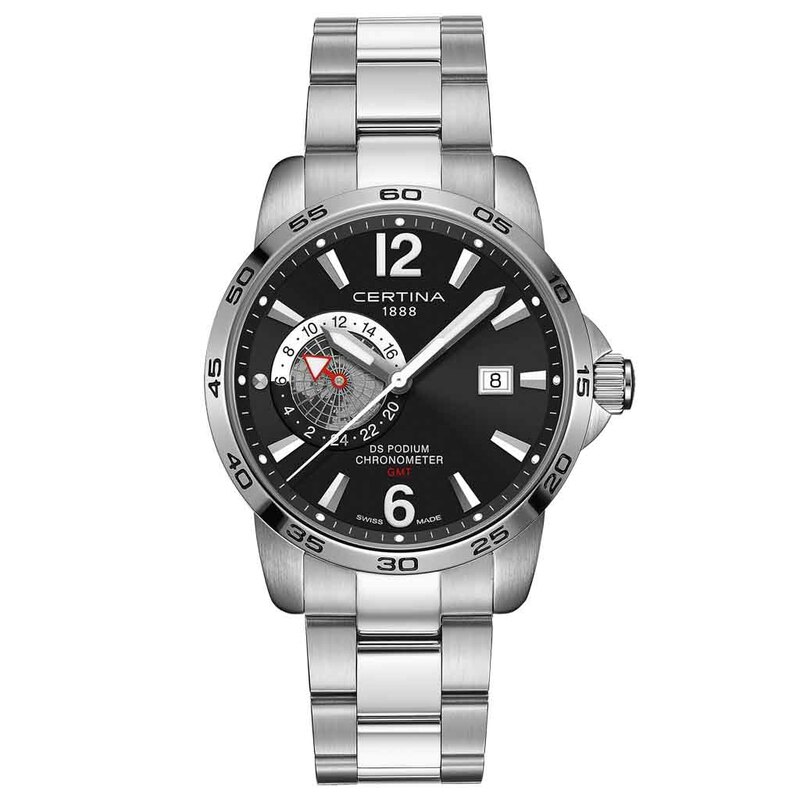 The DS Podium GMT Chronometer is a mix between sporty and classical. 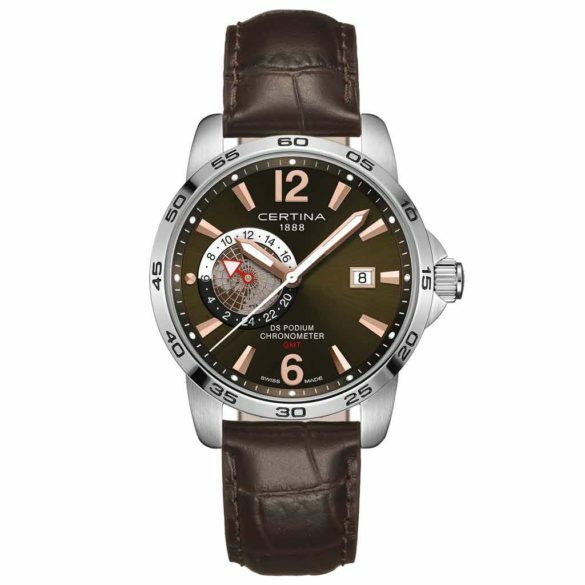 And with the most useful – at least, in our humble opinion – complication available: a GMT hand. 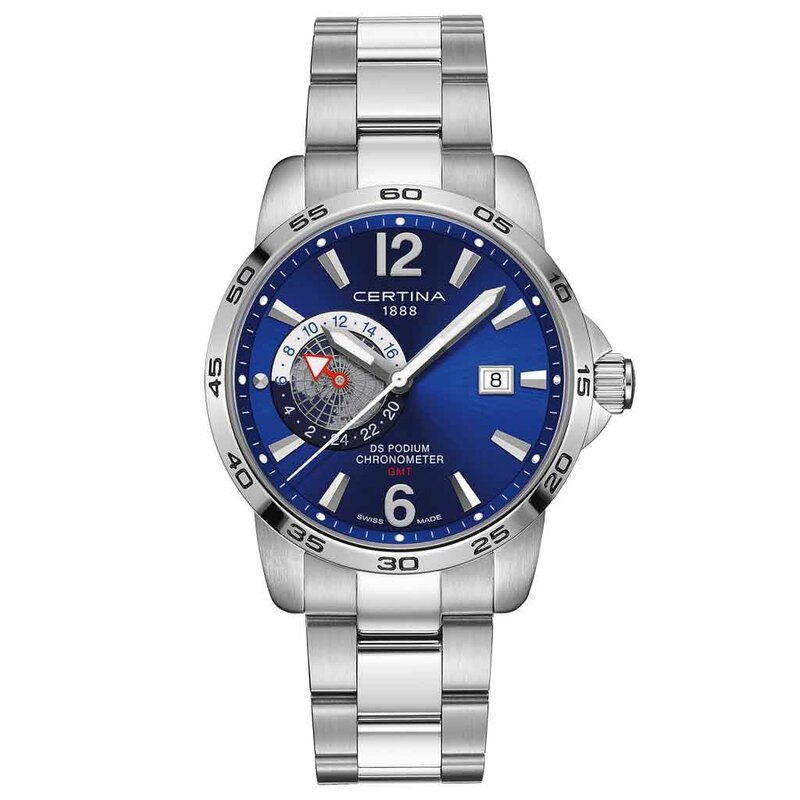 A handy second time zone you can set as your home time or on the time-zone you are visiting. A separate 24-hour globe display with red hand can be seen at the 9 o’clock position. 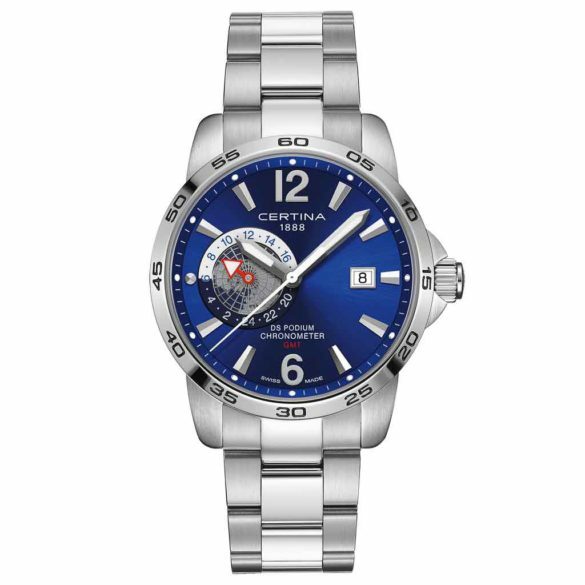 You can choose from a a black, grey, silvered or blue dial with either silver-colored or gold-colored hands and indexes. The stainless steel case measures 41 millimeters. 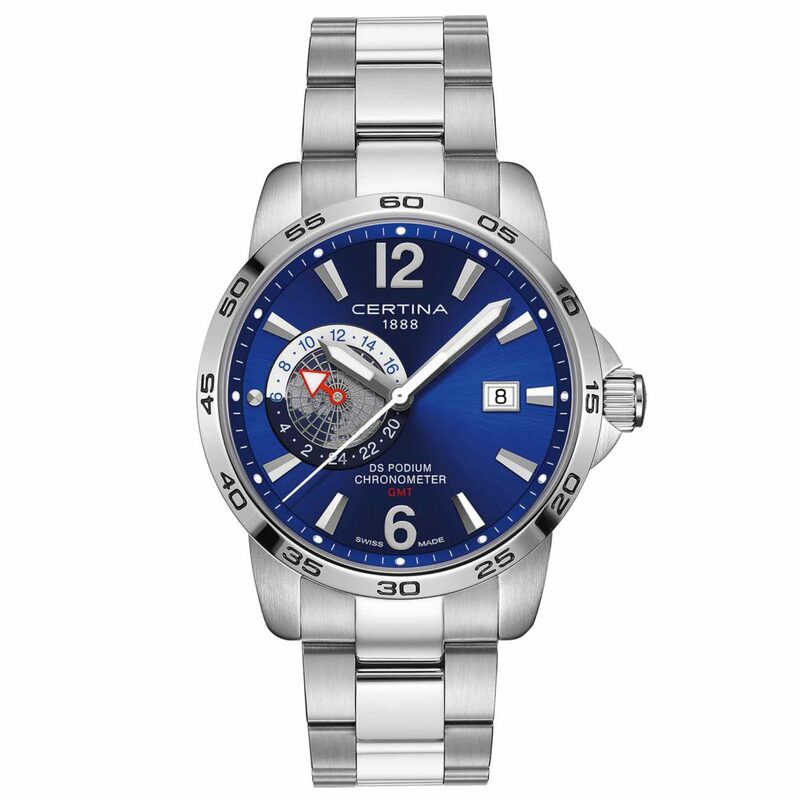 Quite subtle for Certina when you look at their other DS-models. Most of them are a 43 or a hefty 45 millimeters in diameter. The DS Podium GMT Chronometer is chronometer certified by the Swiss Chronometer Institute (COSC). 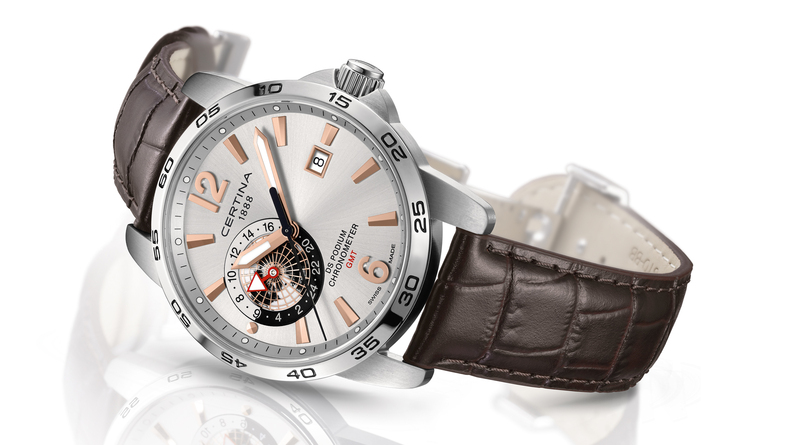 It is powered by the ETA F06.421 Precidrive quartz caliber. Therefor, the price is friendly. 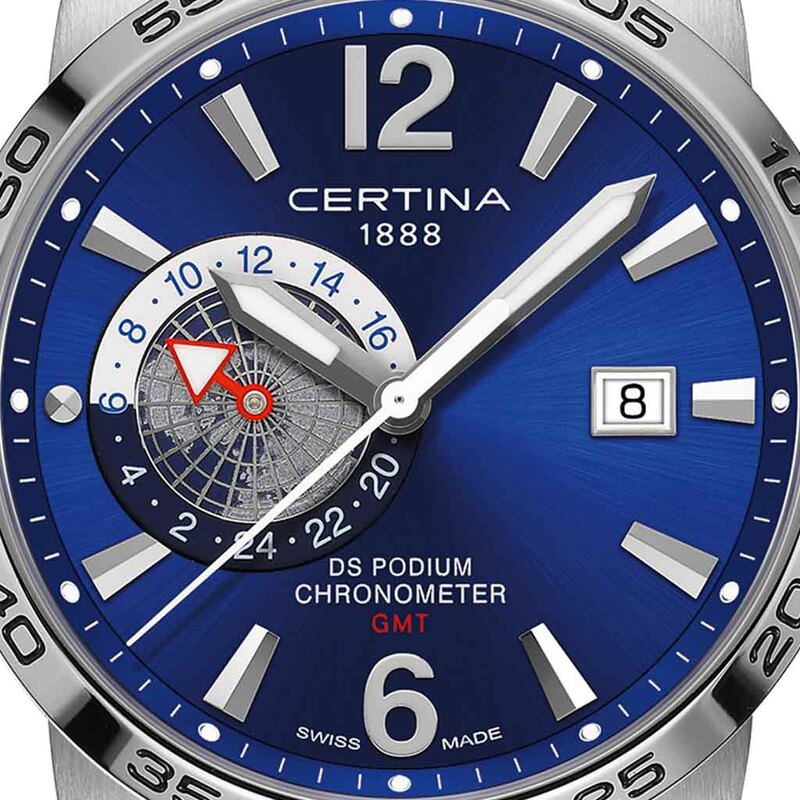 In addition, the Certina DS (Double Security) concept gives the watch an extra ruggedness and better water-resistance. 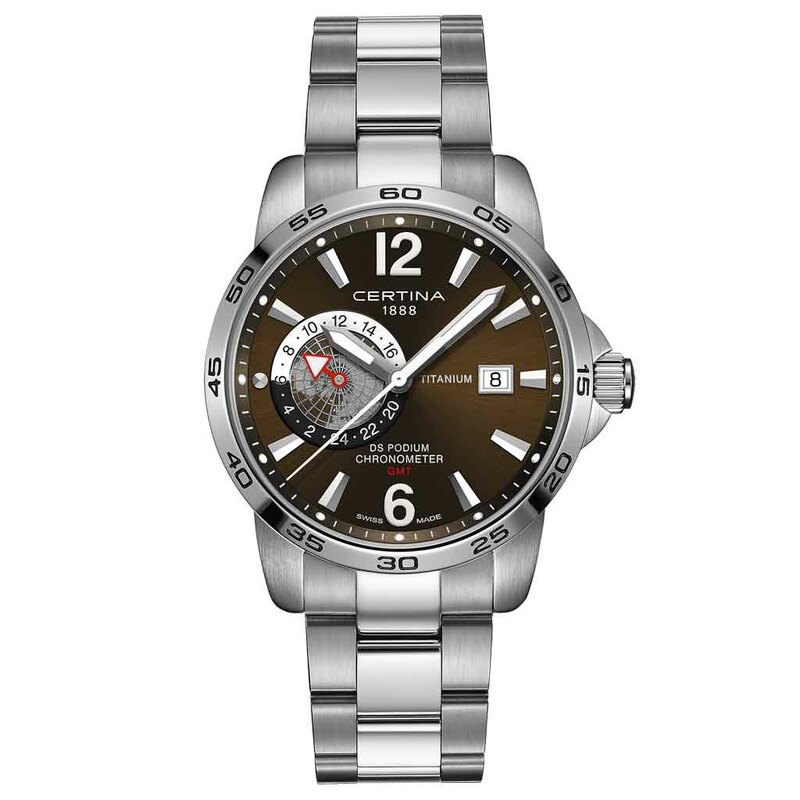 The Certina DS Podium GMT Chronometer comes on either a steel bracelet or brown leather strap. 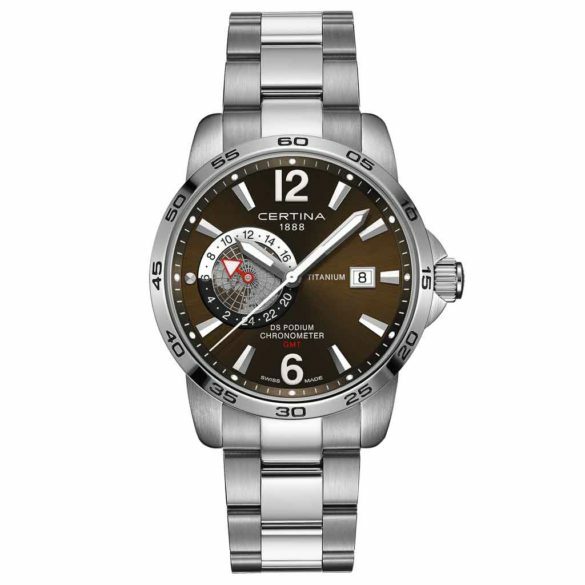 You can also get a version with a grey dial and a titanium case and bracelet.